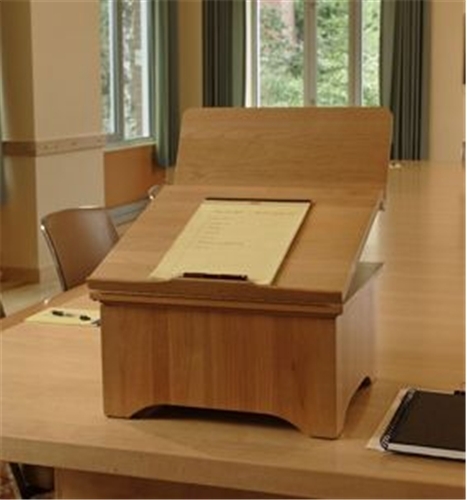 This portable writing desk was designed by an eye doctor to reduce neck and back strain and improve posture. 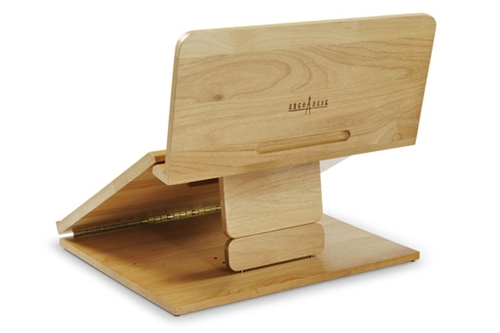 Reading and writing stand holds even the largest books. 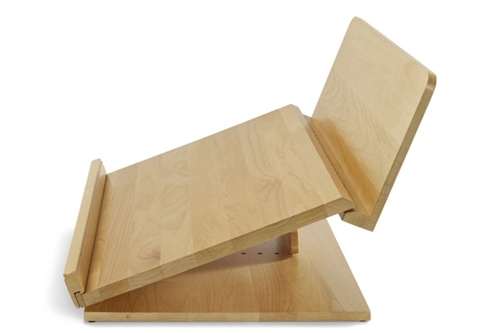 Writing slope adjusts to 4 angles from 15°- 22°. Optional Angle Extension accessory adds height for more upright reading angles. 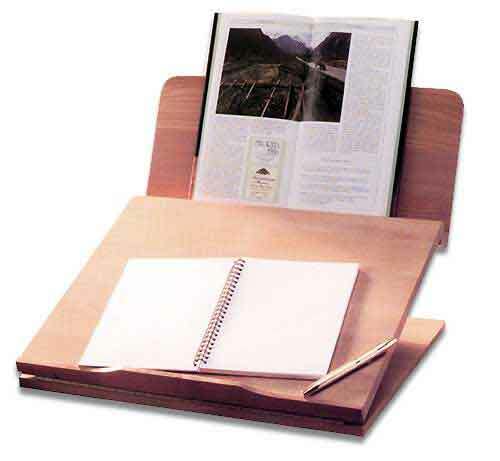 Low-profile bottom ledge hold paper and pen without interfering with writing. 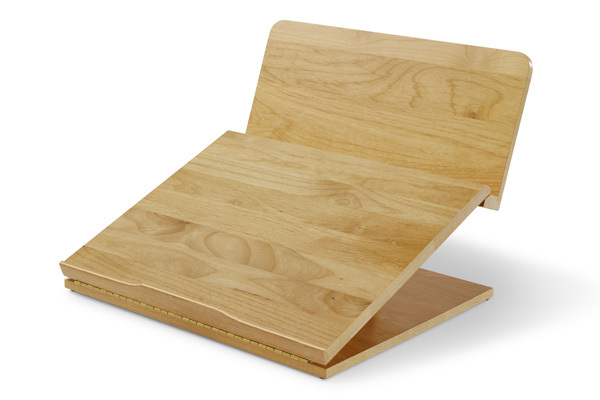 Folds for storage and carries like a portfolio. My wife needed something to improve her posture while she works at home. She is a teacher and spends a lot of time on her computer and hunched over grading exams. 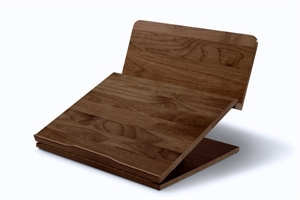 The Ergo Classic Desk was perfect. She is able to keep her shoulders and neck in proper alignment and stop a compressed nerve from causing pain. We purchased the dark walnut desk. 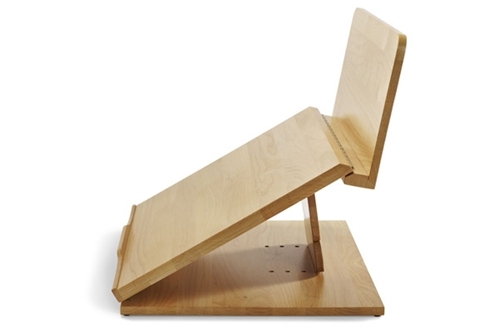 It is adjustable and solidly built. She has shared where she got this product with her co-workers in hopes that they work with better posture as well.